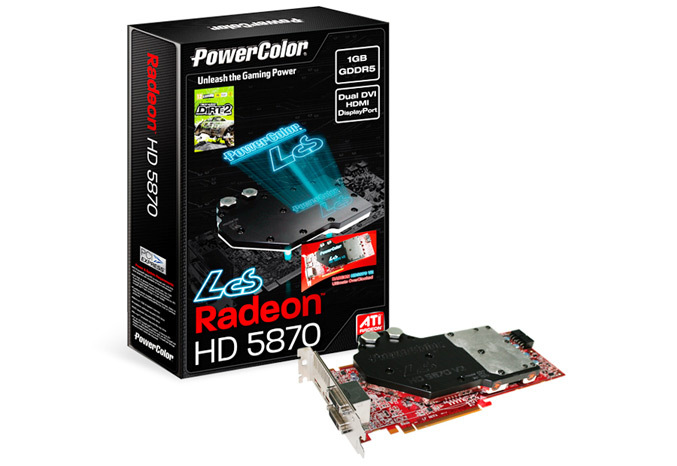 PowerColor announced today an upgraded version of its Liquid Cooling Radeon LCS HD5870, boasting overclocked settings of 950MHz core speed and 1200MHz memory speed combined with the same EK Water Blocks. 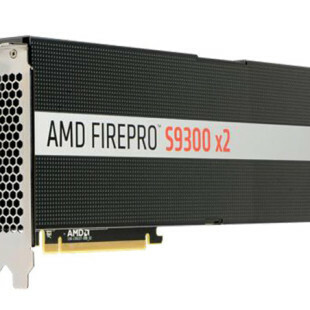 The PowerColor LCS HD5870 V2 is designed with a copper base, has a full water block mounted on the card, which covers the memory and power regulator chip and regarding the manufacturer, allows the graphics to reduce temperatures under 50°C at load and enhancing the overclcoking potential. It has 256bit memory controller with 1GB DDR5 memory and has Dual DL-DVI and HDMI ports. To test it, PowerColor bundled DiRT2 game into the package, as well and a high-flow 3/8″ and 1/2″ fittings (barbs) to maximize water flow with captured o-rings to prevent leakage, which allows you to customize your own liquid cooling system using these two fittings.